Bryan Ferry's girlfriend (and soon be wife) Lucy Helmore appeared on the cover wearing a midieval helmet and carrying a falcon, evolking King Arthur's last journey to the mysterious land of Avalon. 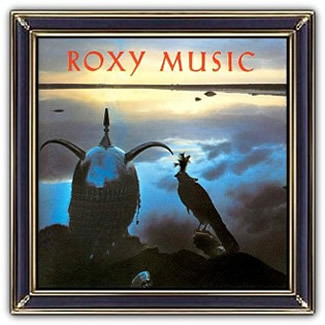 Though perhaps less appearently than previous albums, the cover continues the tradition for Roxy Music's Albums to feature images of women on the cover artwork. Roxy Music were an English rock group formed in 1971 by Bryan Ferry, who became the group's lead vocalist and chief songwriter, and bassist Graham Simpson. 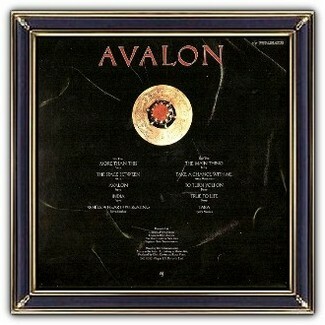 Alongside Ferry, the other longtime members were Phil Manzanera (guitar), Andy Mackay (saxophone and oboe) and Paul Thompson (drums and percussion). Although the band took a break from group activities in 1976 and again in 1983, they reunited for a concert tour in 2001, and toured together intermittently between that time and their break-up in 2011. 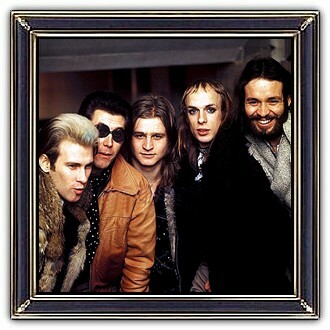 Ferry frequently enlisted members of Roxy Music as session musicians for his solo releases.